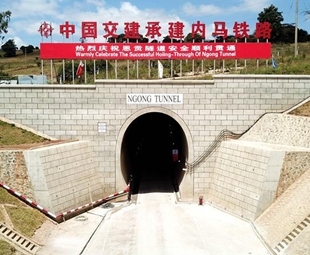 "With a total length of 4.5 km, the Ngong tunnel is currently the longest tunnel in East Africa and the dominant work in SGR Phase 2A," An said during celebrations to mark the breakthrough of the Ngong tunnel. The Phase 2A which extends for about 120 km is set to be completed in 2019. The 4.5 km Ngong tunnel has been designed as a single-track railway tunnel with a clearance height of nine meters and a width of seven meters. CCCC engineers used the New Austrian Tunneling Method (NATM) of drilling and blasting to build the tunnel and it is the first time that such a method has been used on such a large scale in Kenya. The tunneling method is economical, efficient and has strong adaptability for different geological and groundwater conditions. The method is preferred because it controls surface collapse effectively, and enhances the working environment during construction. "We will continue to protect the environment, implement local contents, and participate in social welfare, bringing real benefits to the local communities," he added. "Together with all our Kenyan partners, and building on what has been achieved at the FOCAC (Forum on China-Africa Cooperation) Summit in Beijing, we shall construct a time-honored railway that will stand the test of time and operations, achieving greater success in a new era between our two nations," he added. "There is one large refuge hole set up every 150 meters in the tunnel, and one small refuge hole set up every 30 meters in the tunnel," Zhao explained. "We have reserved space to install fans within the tunnel. Six jet fans can be installed to ensure air ventilation once the tunnel is operational," added Zhao. "It is an ambitious undertaking by the government of Kenya envisioned to revolutionize the social economic development of the country," Waweru said. 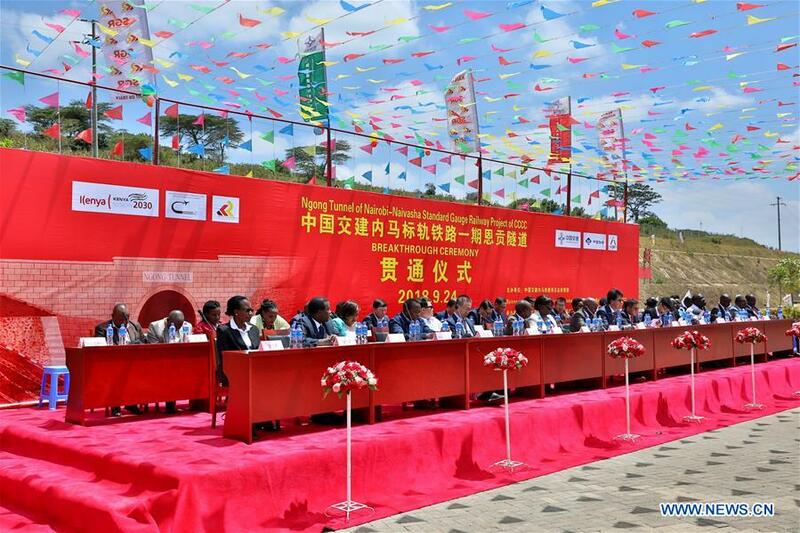 China Communications Construction Company (CCCC) has drilled the longest railway tunnel in East Africa.